As I’m typing this post I can hear my sister-in-law groaning. Yep, she’s a beet hater. 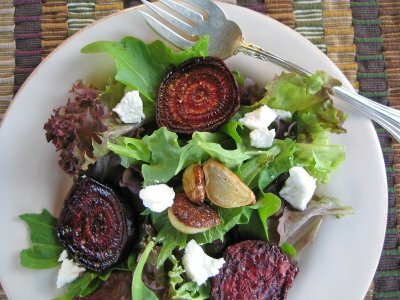 But even if you think you’re a beet hater I urge you to try this recipe. 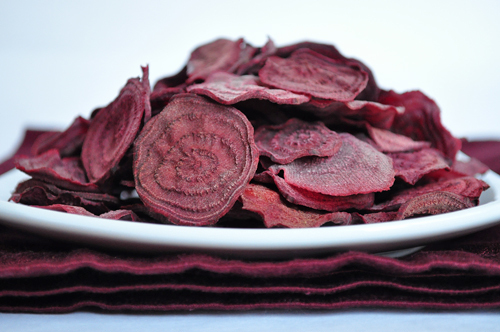 If you were one of those people who were shocked to find out how much you loved my beet chips, then this might surprise you too. I mean, these babies are in the top 10 of all time popularity on my blog. Parents of toddlers have written to me to express their gratitude at finding a way to make their kids eat a new vegetable. They are that good – even to people who “hate beets”. 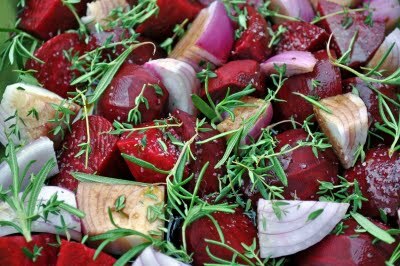 I love beets – simply roasted, with some rosemary and a little olive oil. Great winter side dish. And once you’ve roasted them, they are truly wonderful in a salad with goat cheese. In fact, that’s what I served for a salad for Christmas dinner. And not thinking about my picky eaters, I made way more than I needed. What is it with 20-something boys? Aren’t they men by this age who you would think could branch out to some new vegetables? Apparently not in my family. I set out to make a beet soup, but didn’t calculate the proper ratio of stock to roasted vegetables. Sometimes kitchen mistakes result in a pleasant surprise, like this time. 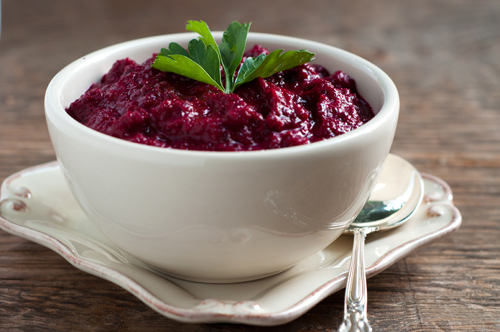 I discovered this great creamy beet puree that’s a wonderful side dish. You could also stir this into risotto for a great beet risotto, or continue adding more stock and puree it down further until you actually do have a creamy soup. Live life with some adventure – try beets this year if you’ve been afraid of them in the past! Combine stock and leeks in a saucepan and simmer until leeks are tender, about 10 minutes. 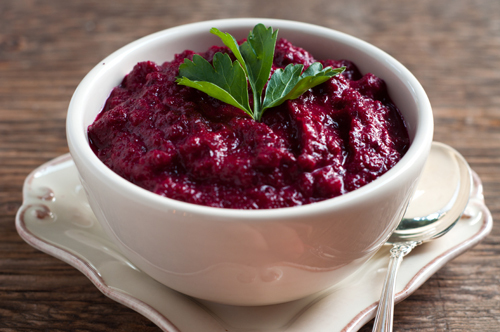 Combine with beets and yogurt in a blender or food processor and blend until smooth. Season with salt and pepper to taste. I love beets so much that I’m going to Stumble this. 🙂 I think my favorites are roasted beet salads. Really nice photos Michele. how long do you roast the beets? Amanda, when roasting beets you want to roast until fork tender, which will depend on the size, your oven, etc. They take longer than you think, though – could be an hour or so if large! Can I use golden beets? If not, I have already roasted them and what can I do with them as a purée? Delilah, you can use any color beets you like!